Mark Lawrence: The Wheel of Osheim special edition is up for pre-order! 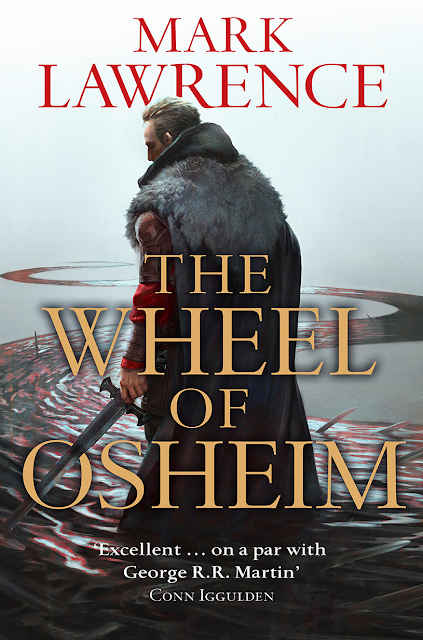 The Wheel of Osheim special edition is up for pre-order! 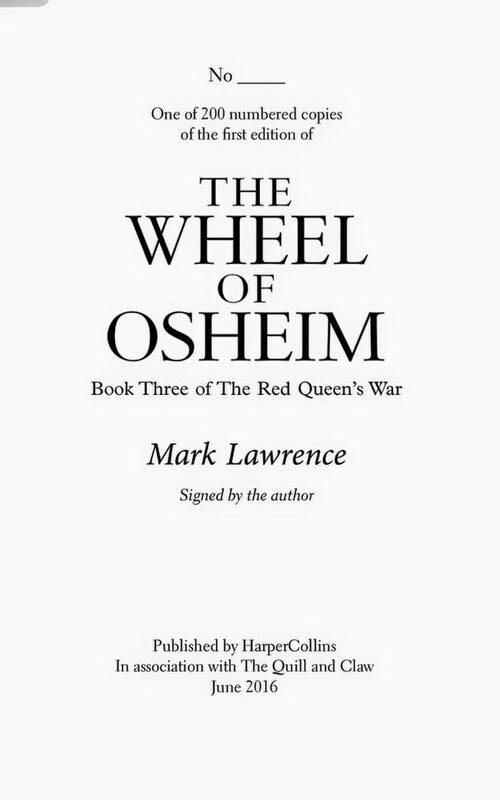 200 numbered copies of The Wheel of Osheim special edition, limited, signed, and (if you want) personalized, went up for pre-order last night. Experience shows they don't last long. Don't say you weren't warned. Get over to Quill and Claw for yours. If you bought the Liar's Key limited edition last year you can get a matching number, or take pot luck.